The festive Musical Fire Truck just drove by my office. 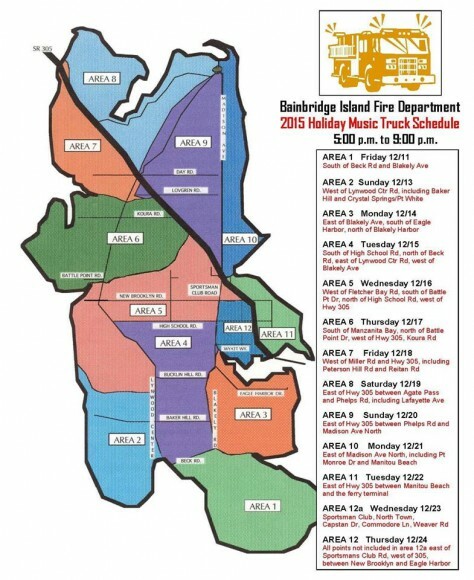 Tonight is the FIRST night the truck is out adding musical cheer to the island. The map and schedule is below. When will they be in your neighborhood? Click on the map to see a larger version.